Through our experience in developing Industrial automation products with multiple Fortune 100 companies, we saw a need for companies to be able to connect, monitor, and receive alerts at extremely low cost and high value. 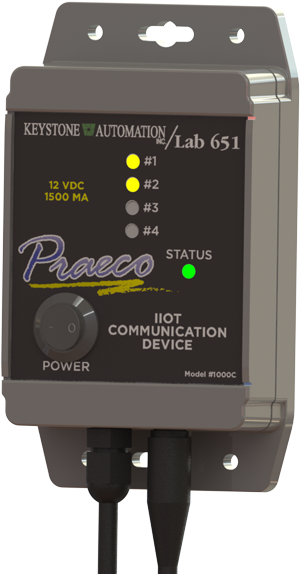 We went to work creating a line of products to service this need -- the first of which is our "Praeco Point Computer". It's a device that is drop-dead simple to install and begins giving you realtime data, alerts when conditions are out-of-range in your factory environment and improve efficiency. PNP output high or low?